iPhone and iPad users rejoice. Apple has officially seeded iOS 12.1.1 – the freshly updated iOS software that boasts a range of improvements, along with the usual small changes. Alongside, Apple has also announced the 10.14.2 MacOS Mojave Update, Safari updates, macOS Sierra and High Sierra Security Updates, and tvOS 12.1.1 for Apple TV. A prominent change in iOS 12.1.1 is that the FaceTime camera’s switching button has been moved to a more noticeable place in FaceTime conversations, instead of being hidden among the other abstractions in the interface, as it was in previous iOS versions. 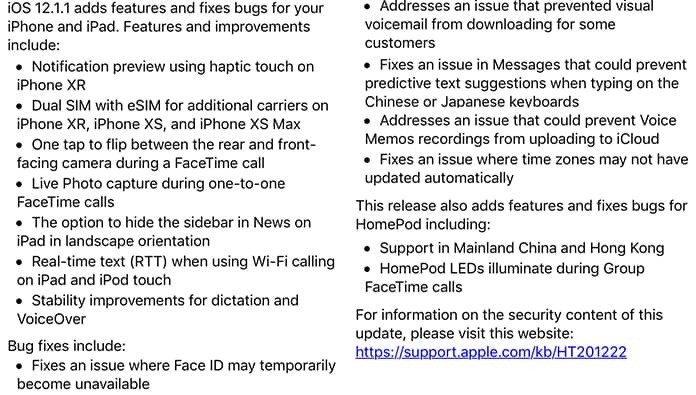 Other updates in iOS 12.1.1 include better eSIM support for iPhone XR, XS Max, and XS, notification haptic feedback for the XR model, as well as Live Photos support for FaceTime interactions. The release notes of iOS 12.1.1 are mentioned below this post. The best way to install iOS 12.1.1 on an iPad or iPhone is via the ‘Software Update’ option in iOS Settings. Sufficient storage is needed for this installation. Also, we recommend backing up your data to iTunes, iCloud, or both, before updating to iOS 12.1.1. Here are the steps. The iPad or iPhone will now restart to finish the iOS 12.1.1 installation. 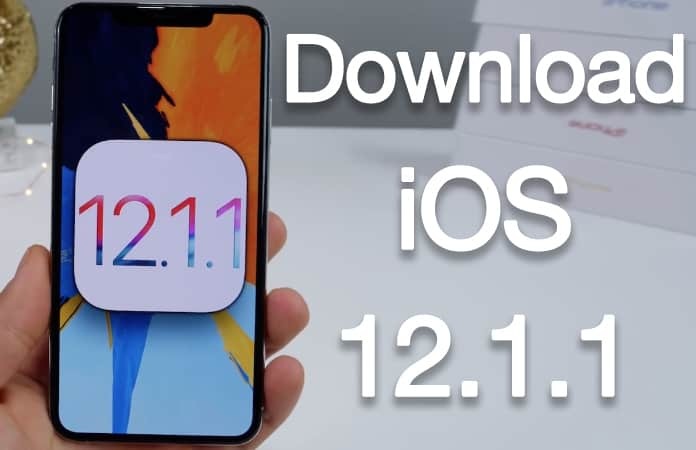 People can also select to download and install iOS 12.1.1 via iTunes on a PC if needed, which can be done by connecting the iDevice to a Windows or Mac PC running the latest iTunes version and selecting ‘Update’ in the window of iTunes. Below are the IPSW files hosted on the servers of Apple. For ideal results, right click and click “Save As’. Make sure to choose ‘.ipsw’ as the file extension so that it can be recognized by iTunes. More advanced users can use the IPSW firmware files for the process. 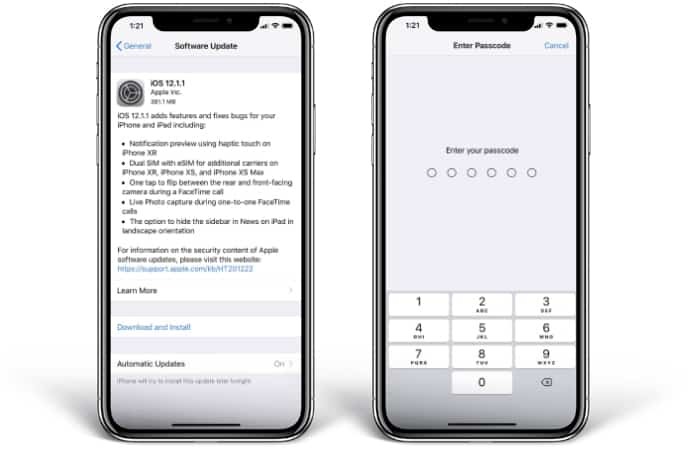 By following the steps outlined above, you’d be able to download and enjoy the latest iOS 12.1.1 on your device. We’d love to hear your experience with this new firmware.